Since 1993, Kelso Restoration (formerly Blaster Master) has serviced thousands of customers throughout Ontario for their abrasive blasting (sandblasting) needs - including auto restoration, fire restoration, pavement marking removal, anilox roll cleaning, swimming pool restoration, graffiti removal, general surface cleaning, coating preparation, mold remediation and food equipment cleaning. We offer abrasive blasting expertise and know how to select the media, blast equipment and methods best suited for your project. Our team is also trained in all safety precautions to ensure the success of your project. Kelso Blasting & Restoration is also a pioneer in soda blasting and we are Ontario's premier specialty soda blasting company. We also have the knowledge and experience gained from over 25 years in abrasive blasting, soda blasting, and restoration services to know if soda blasting is right for your job, so you can be certain that your job is completed right the first time. We offer a complete line of abrasive blasting media and methods for right finish on all types of surfaces including glass, wood, brick, concrete, steel, rebar and stucco. As the leader in soda and abrasive blasting in Ontario, we work closely with a range of contractors including fire and disaster restoration specialists, general, cement, concrete, painters and more. Our blog features an article about the use of soda blasting for smoke and soot removal as well as one for mold remediation. Kelso can service you at your location or at ours. Our 10,000 square foot facility in Milton is equipped with two 400 square foot contained blast booths enabling us to work in a controlled environment. We also have four mobile units that can accommodate you at your facility or job site. We also have a facility in Ottawa to service your needs. We use NSF 61 certified soda for food-grade applications and MTO approved media for all exterior work. Our products will not harm our environment and are safe for you and our workers. We use Armex© brand baking soda. It can clean or degrease substrates including stainless steel, aluminum, sheet metal, concrete, block, stone, glass, ceramic, metals and fiberglass without any damage to the substrate. This same gentle cleaning process can be very effective for the removal of protective coatings such as paint, sealer and curing compounds. 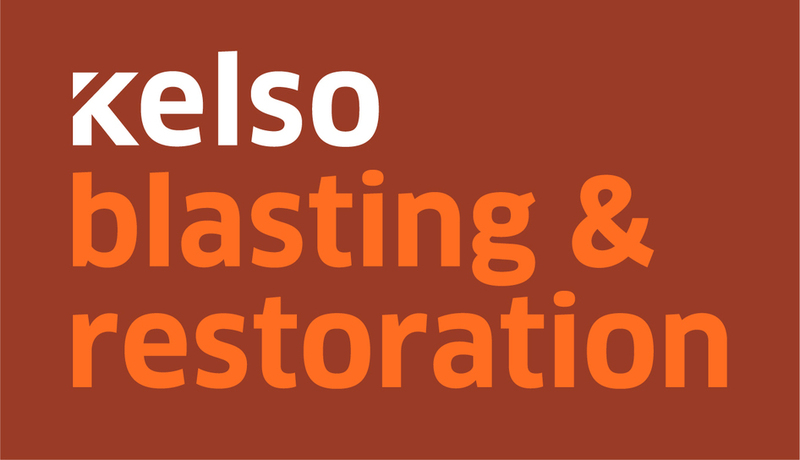 Kelso Restoration will get your project done right the first time. With offices in Milton and Ottawa, we are happy to service not only the Greater Toronto area and eastern Ontario, but also the entire of Ontario and beyond. Give us a call today at 905.864.0378.